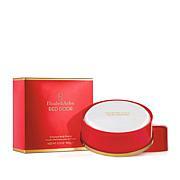 Lose yourself in luxury with Elizabeth Arden. 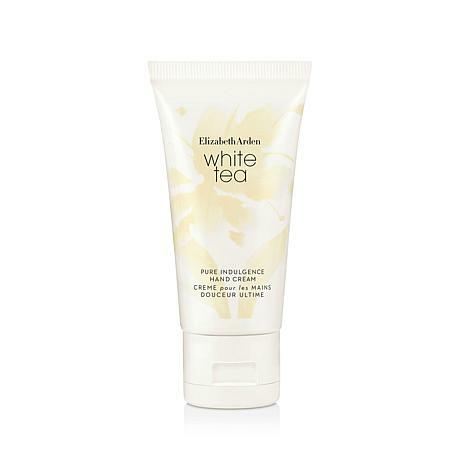 With delightful notes of white tea, madras wood and musk, this hand cream will add a light fragrance to your skin while it moisturizes and softens your hands. Escape to a world of elevated simplicity, and let the musky, woodsy, floral scent of White Tea softly spirit you away. Ingredients: WATER/AQUA/EAU, CETEARYL ALCOHOL, MINERAL OIL/PARAFFINUM LIQUIDUM/HUILE MINERALE, PARFUM/FRAGRANCE, GLYCERIN, GLYCERYL STEARATE, CAPRYLIC/CAPRIC TRIGLYCERIDE, CETYL ACETATE, THEOBROMA CACAO (COCOA) SEED BUTTER, C12-15 ALKYL BENZOATE, DIMETHICONE, ACETYLATED LANOLIN ALCOHOL, ALOE BARBADENSIS LEAF JUICE, BUTYLENE GLYCOL, BUTYROSPERMUM PARKII (SHEA) BUTTER, CAMELLIA SINENSIS LEAF EXTRACT, CARBOMER, CETEARETH-20, CHONDRUS CRISPUS EXTRACT, CYCLOPENTASILOXANE, PEG/PPG-18/18 DIMETHICONE, PROPYLENE GLYCOL, SODIUM POLYACRYLATE, TRICETEARETH-4 PHOSPHATE, TRIETHANOLAMINE, WHEAT GERM GLYCERIDES, BHT, CITRONELLOL, COUMARIN, FARNESOL, GERANIOL, LIMONENE, LINALOOL, CHLORPHENESIN, METHYLPARABEN, PHENOXYETHANOL, PROPYLPARABEN, SODIUM BENZOATE. I love the scent of of this cream! I ordered a body cream and tollite water! !Why is there no ODP sold? As with my review on the Cologne and Body Cream, this is my new favorite fragrance to wear. 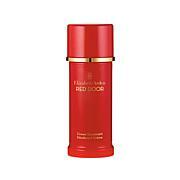 Have received many many compliments on how good I smell and they want to know the name of what I am wearing so, of course, I tell them and I tell them where I got it. I love this product. The scent is light and dreamy. It really nourishes my hands. Wish the size was larger , but this fits great in purse. Need to get the fragrance now. Really love it! Beautiful scent, moisturizing.. Love this hand cream! This is the perfect size hand cream for my bag. 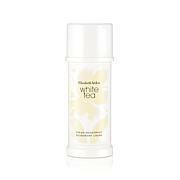 I love the new White Tea fragrance and given how much I use hand cream, when I saw it, I had to buy it. Of course it smells great, is non-greasy, and moisturizers my dry skin.....smile. Lancôme La Vie Est Belle Body Cream - 6.7 oz.